No matter where you live in the United States (excluding Alaska and Hawaii), you can have Diet-to-Go! 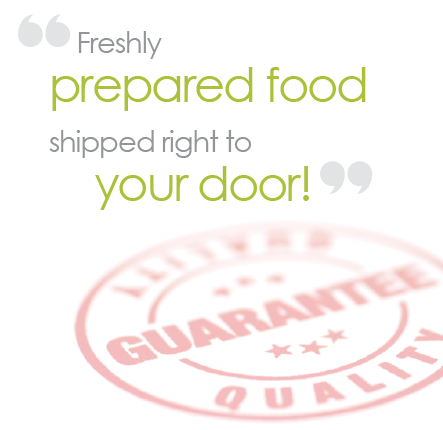 Our meals are prepared fresh and then flash frozen, packed on dry ice and shipped immediately to ensure optimal freshness and taste upon arrival. We ship via FedEx from our kitchens in both Northern Virginia and San Francisco to give you the quickest delivery times possible, no matter where you call home. Our home delivery meals are designed to give you everything you need to eat healthy and lose weight, without sacrificing taste or variety. The Balance and Vegetarian menus follow the dietary guidelines of leading health advocacy organizations, and the Balance menu is available in a 1200 and 1600 calorie per day options. These meals are low in fat, low in sodium with no added artificial ingredients or preservatives: just good, fresh, healthy food. The Carb30 is similar to an Atkins style plan and contains less than 30 net carbs per day. This plan offers low-carb dieters a variety of professionally prepared meals that are delicious and would be all but impossible to replicate at home. All meals contain everything you need including condiments and sides. So that means no last minute trips to the grocery store or additional purchases. They are ready to eat when you are. And, each meal plan can be completely customized to fit your budget, lifestyle and dietary needs.